The Nationals might be the best team in baseball. They almost certainly have the best rotation in baseball. Unfortunately the injury bug has hit their position players rather hard. Denard Span, Jayson Werth, and Anthony Rendon all figure to be miss varying degrees of playing time to start the season. Denard Span to date has undergone 2 core muscle surgeries and a mid-May return seems like a reasonable time table. Criminally underrated right fielder Jayson Werth underwent shoulder surgery in the offseason. In the last 3 seasons he’s recorded a wRC+ of 127, 159, and 141. He hasn’t hit below a 100 wRC+ (which is what league average is) since 2005. As yet it’s still unknown when he’ll return to action. Michael Taylor figures to see a lot of action in the center and is probably a fine substitute for Denard Span. Recent additions Reed Johnson and Matt den Dekker provide reasonable depth, but they’re not exactly starter quality. 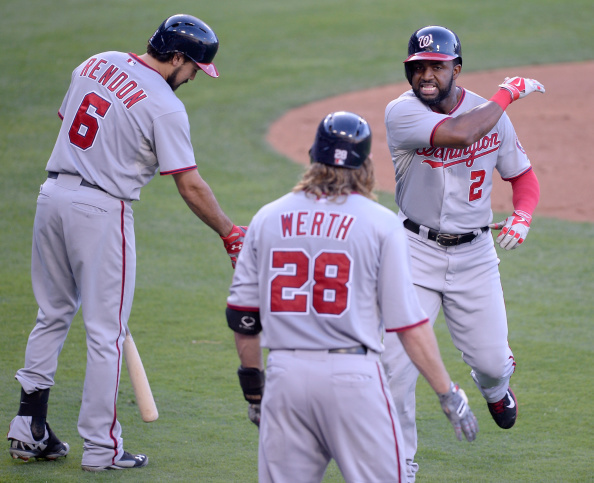 None of them seem likely to be the offensive force that is Jayson Werth. However, the biggest loss might be Anthony Rendon. He was recently diagnosed with a sprained MCL and has sought second and then third opinions which is never a good sign. His timetable to return is currently unclear but he’s going to miss a solid chunk of time. Yunel Escobar, Danny Espinosa, and Ian Stewart figure to see time in Rendon’s stead. None of them can come close to producing at Rendon’s level. The Nationals are good enough that each of these injuries could be weathered individually, but together it’s a significant blow. While the Phillies and Braves don’t represent much of a challenge, the Mets and Marlins are much improved. I’m still picking the Nats to take the division, but if these 3 players have to miss more time than is expected, things could get dicey. Unlike most of the other injuries I’ve discussed, the loss of Christian Vazquez doesn’t seem to change the needle very much for the Red Sox win potential. The young catcher is adept defensively but doesn’t bring as much with his bat. One might say the very same thing about Ryan Hanigan who will take over the majority of innings at the position. The reason I think the Vazquez injury is important is for what it could mean for top catching prospect Blake Swihart. 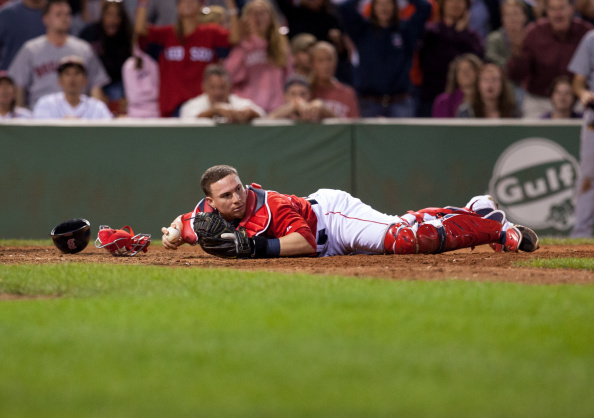 Boston has already come out and said they won’t rush Swihart in response to Vasquez’s elbow injury. But he’s already seen some time at AAA and it’s not a stretch to imagine him receiving a mid-season call-up. Unlike Vazquez and Hanigan, Swihart does have some offensive clout. The Red Sox figure to contend for the division title and with no one really blocking Blake Swihart, if he’s ready I think he could be up before the All-Star Break. It’s at least more of a possibility than anyone thought a month ago. The Rockies are not going to compete for a division title. 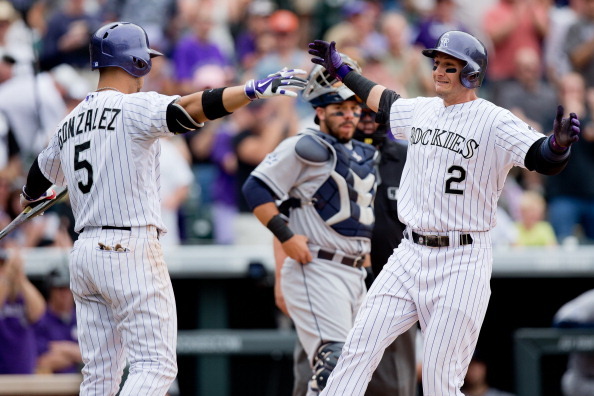 The Rockies are not going to compete for a Wild Card spot. They’re just not. Sorry. That being said, they still really need Troy Tulowitzki and Carlos Gonzalez to remain healthy if only so they can be traded. Troy Tulowitkzi is hands down the best shortstop in baseball. For about 100 games or so until he goes on the disabled list which pretty much happens every year. Even though he only played 91 games last year he was still worth 5.3 fWAR. That ties him for the most valuable shortstop with Jhonny Peralta. He played in 157 games. A full season of Troy Tulowitzki would make him an easy MVP candidate. Carlos Gonzalez is similarly equal parts elite talent and injury prone. He hits for average, power, gets on base, and can steal double digits. While he’s not quite the white hot talent that Tulo is, he would the best player on a lot of different teams. If both of these guys can stay healthy and the Rockies are willing to do it they could entirely restock their farm system in two trades. That’s kind of living the dream. I don’t buy the Yankees as contenders. Sorry. Again. They’re old at too many positions and that rotation looks pretty shaky. Hiroki Kuroda is gone. C.C. Sabathia is not what he once was. Michael Pineda needs to prove he can be healthy for a whole season. Nathan Eovaldi needs to prove he can be effective at all. Masahiro Tanaka was the one guy in the rotation that looked like a sure thing. Until his elbow started barking. He missed two months last year because of the elbow and it was revealed he had a partially torn UCL. Typically that results in Tommy John surgery. 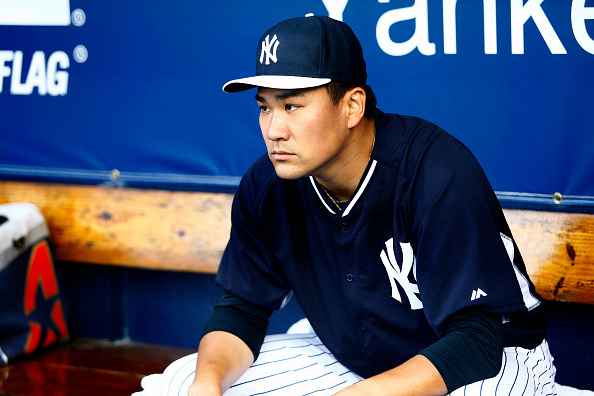 Instead Tanaka choose to rehab the injury. It’s not unheard of. 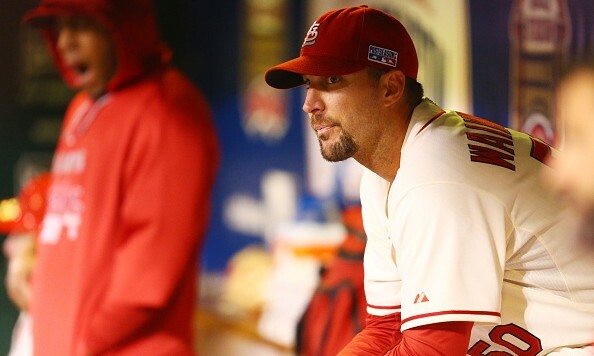 Adam Wainwright pitched with a partially torn UCL for years before ultimately going under the knife. The same could hold true for Tanaka. If the Yankees offense and bullpen (which looks pretty elite) can pick up the slack of the rotation maybe the Yankees compete. But if Tanaka ends up missing significant time or worse ends up having to get TJ surgery then I think the season is over. For the first time in years I actually think the other New York team has the better prognosis. How weird is that?